The staff at OZ is well trained. First rate care and training turns into first rate results. The OZ mantra of excellence starts at the trainer level and trickles down all the way to the stall cleaner. Jeff is a native Oregonian but was raised in Calgary, Canada. He rode in the very first event ever held at Spruce Meadows. After he finished school, Jeff worked as a rider and coach for six years at the famous Millarbrooke Farm home of Captain Canada - Ian Millar. Jeff was a professional rider Paul Valliere, Acres Wild Farm and enjoyed showing on the east coast. In 1990, Jeff returned to the Portland area, settling in Canby. Jeff has been a horseman his whole life. He is a regular competitor in the Grand Prix ring and enjoys teaching students of all levels. Jeff sits on the USEF National Jumper Committee, is the USHJA Zone IX Jumper Chairman and sits on the USHJA Jumper Zone Council, and the USHJA Rider & Trainer Committee. Jeff is a past winner of the NW Professional World Champion Hunter Rider title. He has numerous Grand Prix victories, jumped two clean rounds at the 2004 Olympic Trials and has won the OHJA Open Jumper Champion title ten times. Shelley was born and raised in Calgary, Canada. After graduating from the University of Calgary, she worked riding and teaching at Centre Equestre de la Houssaye in Bonniere, France. For the next two years, Shelley was a trainer at Paul Valliere Acres Wild Farm and toured the east coast. In 1990, she joined Jeff in the Portland area. Shelley is involved in various facets of the horse industry. She sits on the USHJA Board of Directors and serves as, Chairman of the USHJA Trainer Certification Program, and sits on the Zone IX Hunter Committee. In addition, Shelley is the NAYRC Zone Coordinator, USEF Prix de States Zone Coordinator, USEF Zone IX Pony Jumper Coordinator, is a member of USHJA Equitation Task Force, the USHJA Hunter Re-Structure Committee, the USHJA Open Hunter Task Force and the USHJA Zone IX Jumper Committee NAYRC liason. Shelley, a past President of the North West Horse Council, is an advocate, on a national scale, of Zone 9 and other smaller regions. Shelley and Yvette LaMar run Horse Show express a horse show software company that sells a program for ease in entering horse shows. Shelley also manages premiere horse shows in the Portland area. 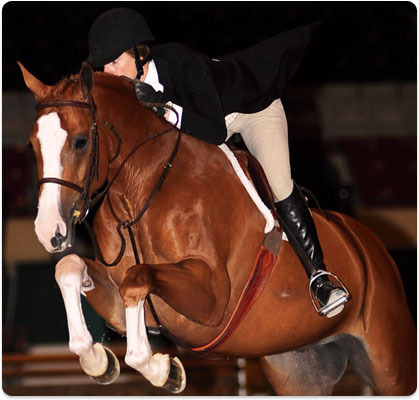 She enjoys teaching students of all levels with an emphasis on the hunters and equitation. 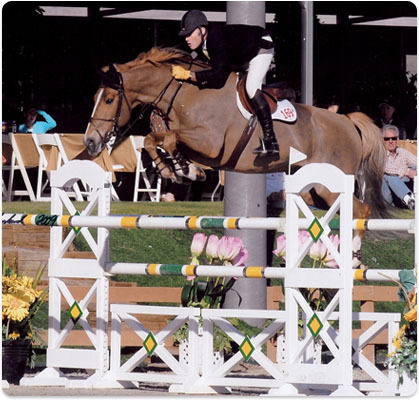 Shelley was the 2008 NW Professional World Champion Hunter Rider.